This is a massive topic that tons of authors have questions on. 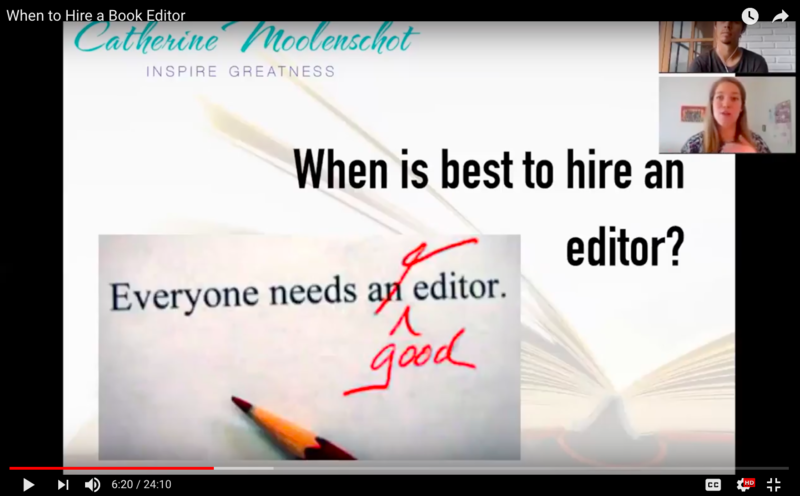 When should you hire a book editor? What should you expect in the process? How do you find the right one for your book? Catherine spends some time with us discussing how to approach the editing phase of your book, how to best engage your readers with your writing, and how to give yourself the best chances of getting interest from a traditional publisher. Apply here to our next book accelerator batch. Or read more about how authors market their books.